1. Machine is for cutting radial components lead foot ,such as bulk capacitor, inductor,LED and etc. 3. Its cutting way is very special. Made of steel materials imported from Japan, its cutters are durable and easy to adjust. 5.Electric-driven as well as pneumatic-driven, it feeds stably and quickly. 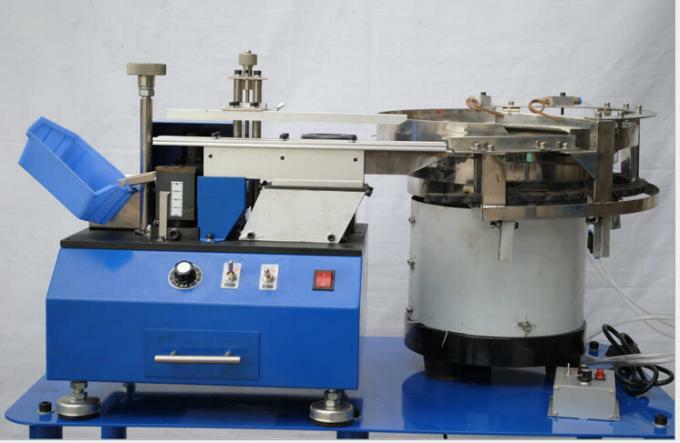 6.The lead cutting machine and the feeding tray can work either jointly or individually. 8. 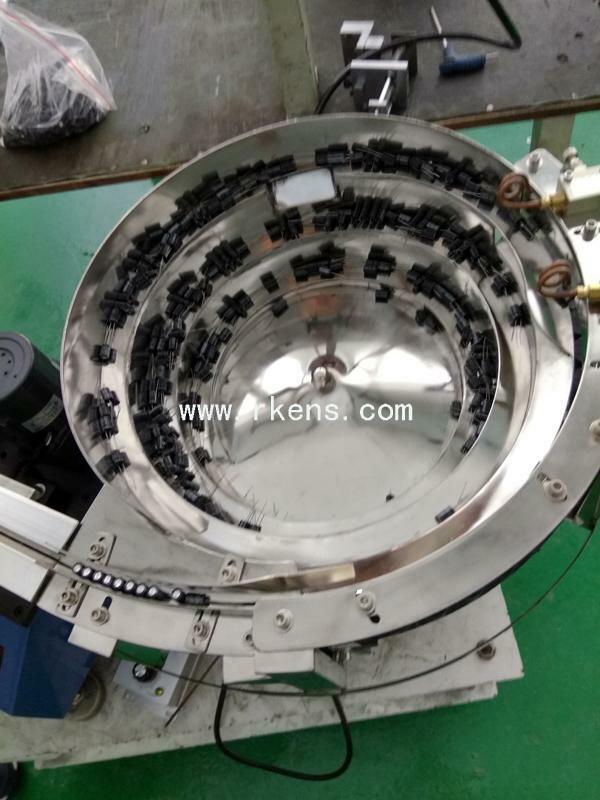 Feeding tray is for 3-10MM electrolytic capacitor, and 3-5mm LED. And body length should be less than 16MM. 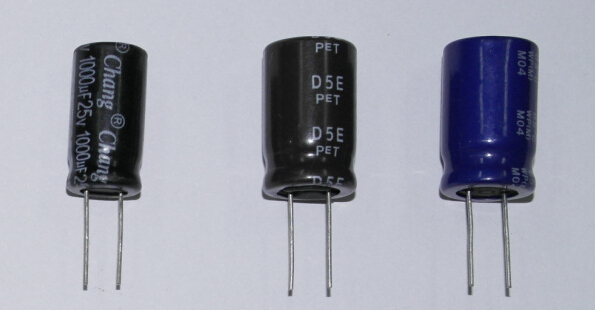 Without this range, components can be feed manually. 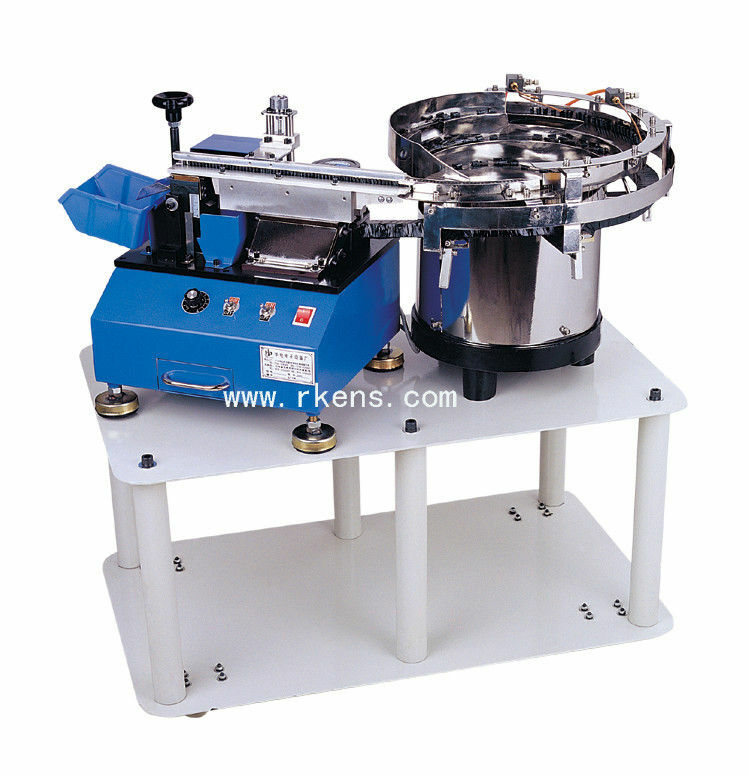 Automatic Machine With Feeder. 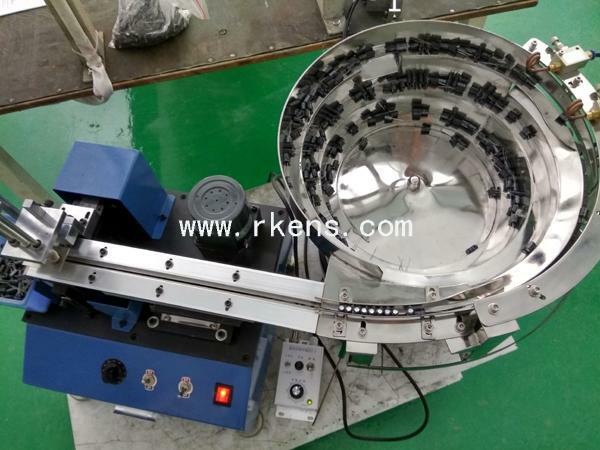 Feed Radial components by feeding bowl.